The Pyle PHPW2 Wireless Headphones provide Clear, Bright, and Full sound without the hassle and tangle of wires to get in your way. 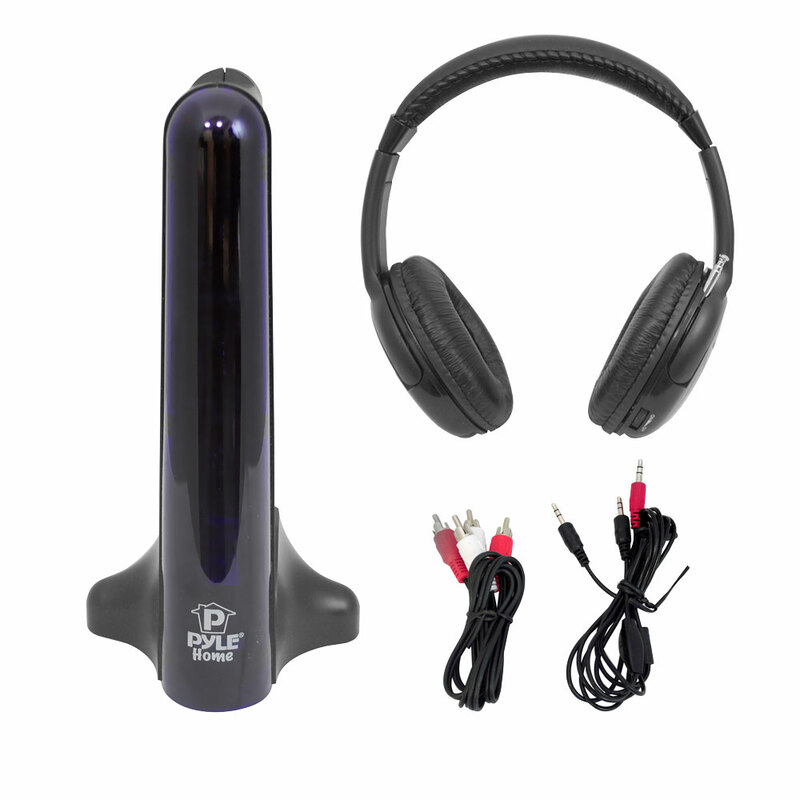 They feature a Powerful wireless transmitter, which can be connected to anything with Audio output, such as your Television, Stereo, Computer, MP3 player, etc. With over 100 Feet of range, feel free to roam with these Pyle wireless headphones. Review : I unable to get the TV sound to work on this headset. I was unable to try them sooner because I was in the hospital, and when I came out I needed a new cable box. Because the cable man was my son I was put on a back burner. I see I can use it with as wired but that is not why I purchased them. Even the radio stations are stat-icy.